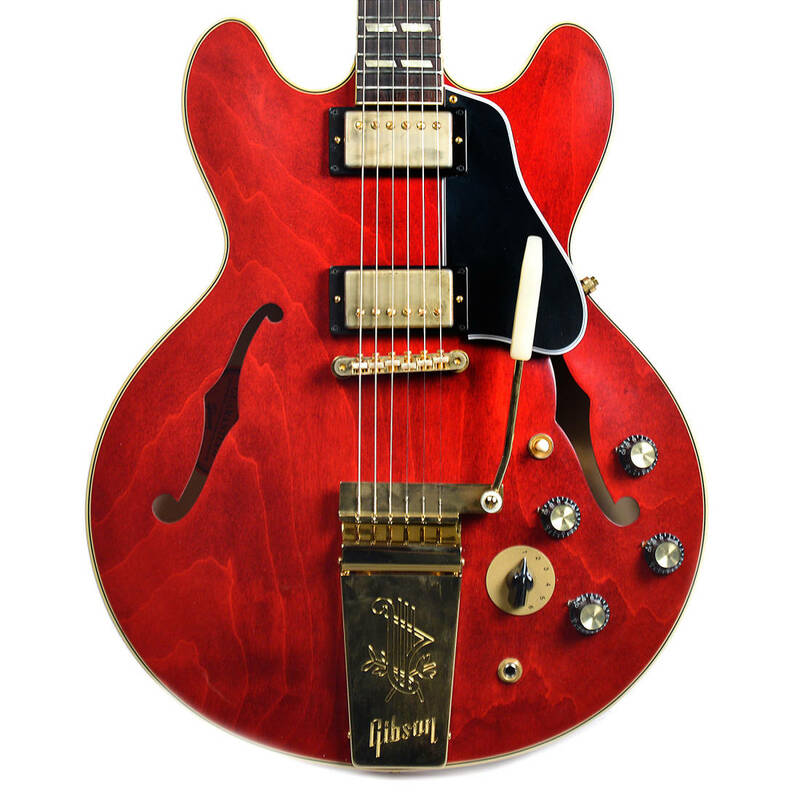 This ES-345 reissue is the Big Daddy of all semi-hollows. 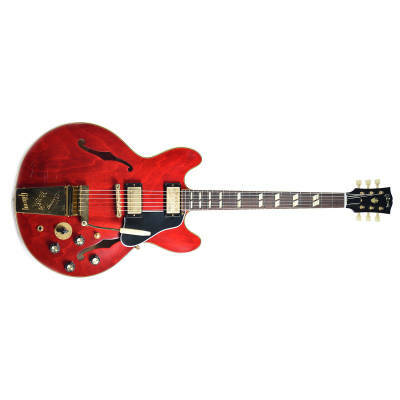 Add an aged gold Maestro trem to the already versatile ES-345 and finish it in Gibson's luscious VOS Cherry stain with Nitrocellulose clearcoat and you have a collectors dream come true - one that plays and sounds even better than it looks. And thanks to Gibson's painstaking VOS touches like gently aged hardware, it looks as if you've cherished it for years. 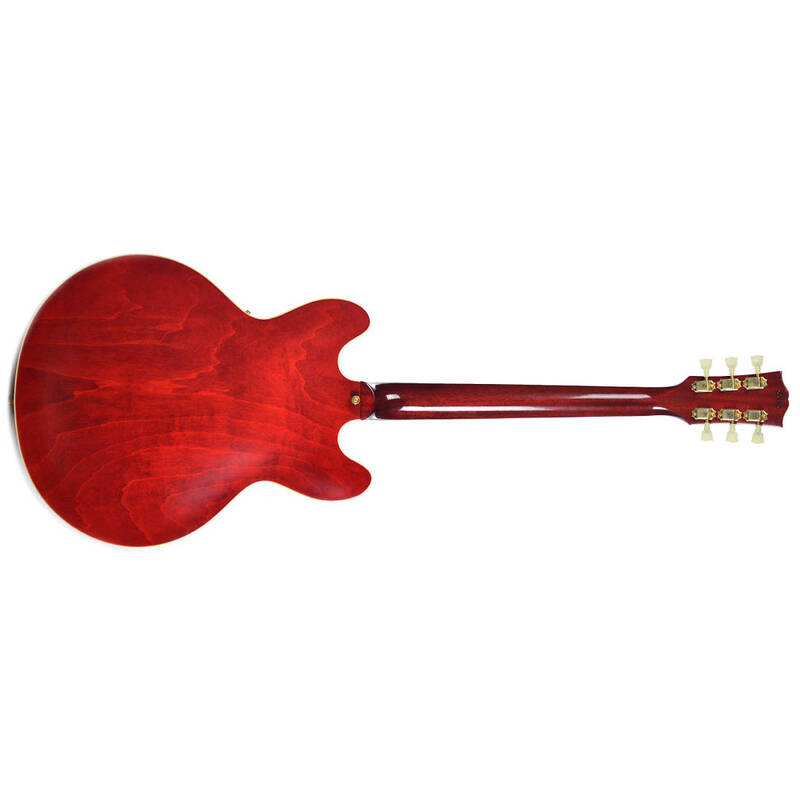 Gibson built 60, 6 have come to Canada.